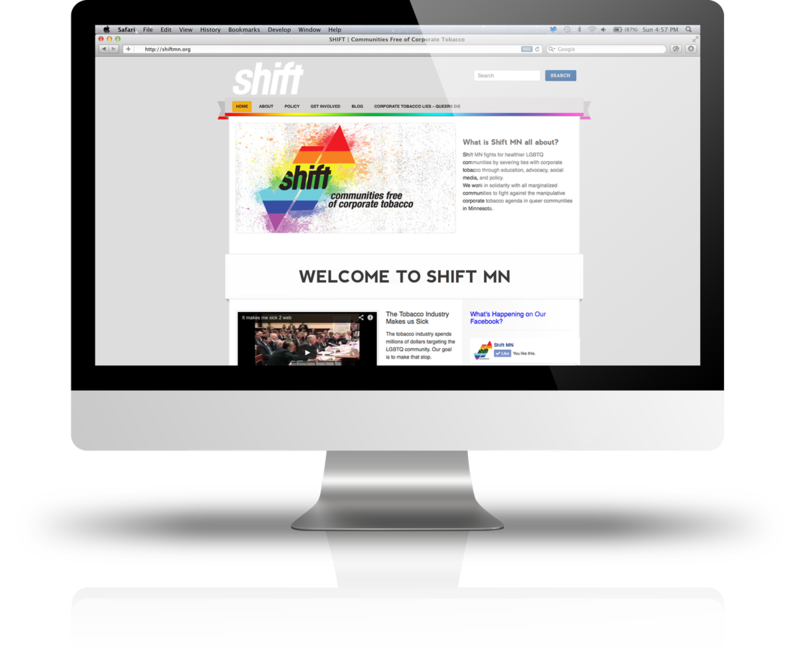 With funding from the Minnesota Department of Health, SHIFT’s goal is to reduce LGTBQ smoking use through policy change. 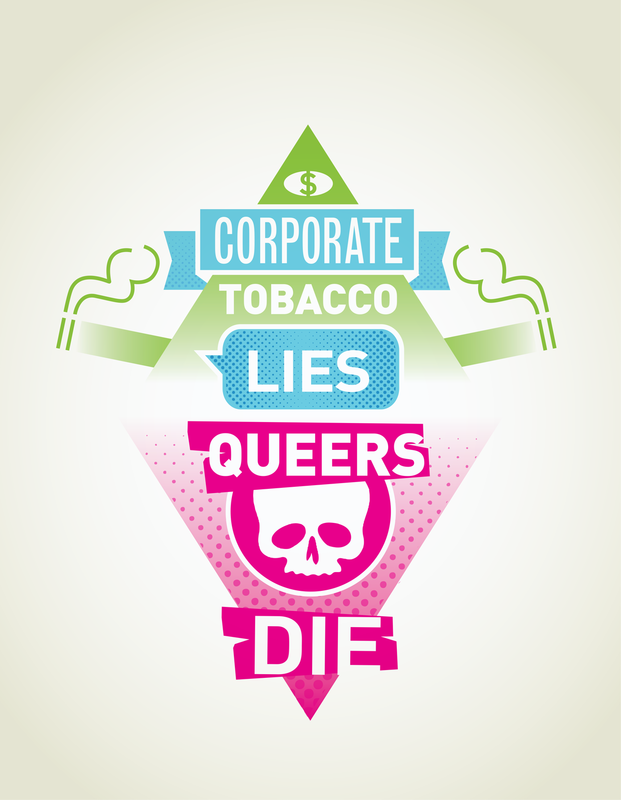 From making pride events smoke free, to working with LGBTQ magazines and media to not stop accepting tobacco funding. 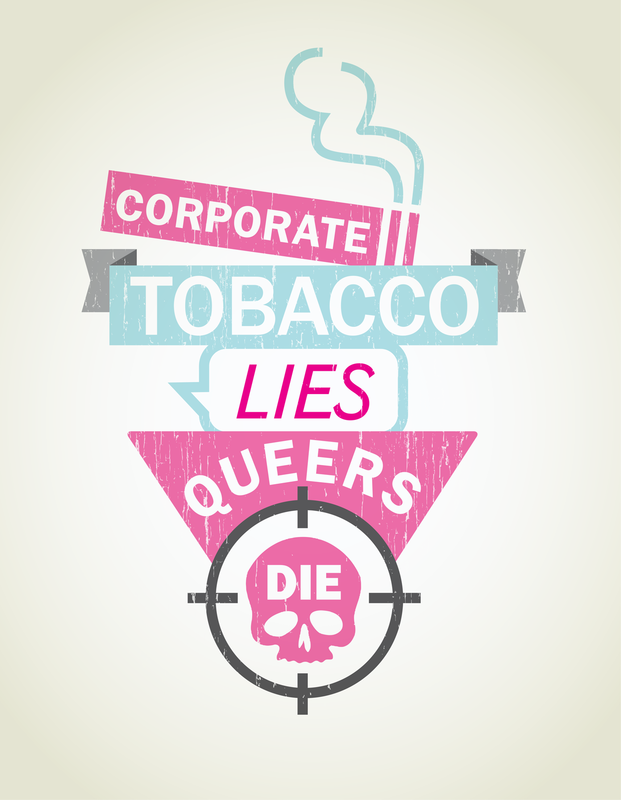 The priority is to create a space in the LGBTQ community where the tobacco industry is not accepted, and where people reject smoking. Community Blueprint brought together an advisory group of LGBTQ young people from around Minneapolis who are passionate about creating change in their community. With their input, a course to change tobacco policy in the Twin Cities. Community Blueprint started by creating a visual identity, designed the logo, identity, website, promotional materials, and videos for SHIFT. With a new identity in place, Community Blueprint worked with them to develop their core strategy of youth engagement and policy. They successfully passed 16 policies with businesses in Minnesota to stop tobacco sponsorships of businesses and organizations in their community. Their presence at local pride festivals and community events reached thousands of LGBTQ young people around Minnesota. Community Blueprint designed the logo, identity, website, promotional materials, and videos for SHIFT. We worked with them to develop their core strategy of youth engagement and policy. They successfully passed 16 policies with businesses in Minnesota to stop tobacco sponsorships of businesses and organizations on their community. Their presence at local pride festivals and community events reached thousands of LGBTQ young people around Minnesota.